A rendering of the project’s town square. 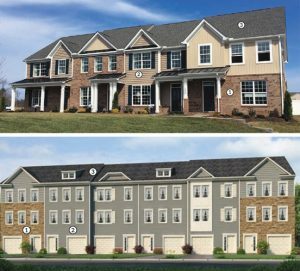 A massive mixed-use development in the works in Hanover is prompting county officials to request more time for review. A public hearing is scheduled for the county planning commission’s 7 p.m. meeting tonight on The Lake District at Glen Allen, a 323-acre mixed-use development proposed by Virginia Beach-based Boyd Homes. County planning staff is requesting that the case be deferred to allow more time to review the project. But the hearing is still expected to be held. The development, which would be the company’s largest to date, is proposed for 2,820 new homes — a mix of apartments, townhomes, condos and single-family detached houses. The property, on the east side of Mountain Road across from Cobblestones Park, also would be filled with about 313,000 square feet of retail and office space, as well as a 30-acre area that would be set aside for 10 years as a potential economic-development site. A layout of the proposed project. If developed for a user that the county would identify, the site would take the place of 618 apartments, reducing the total number of residential units to 2,202. 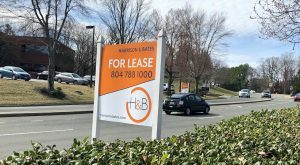 Boyd is under contract to purchase the property from a group of owners that includes Henrico-based Marchetti Properties, which has developed several area retail centers, including the Stonehenge Village center in Midlothian. If approved, the development would take 15 years to complete, with home construction starting in 2021. President David Rudiger said the development would be Boyd’s largest to date in terms of residential unit count. He estimated the overall cost of development and construction could total as much as $500 million. 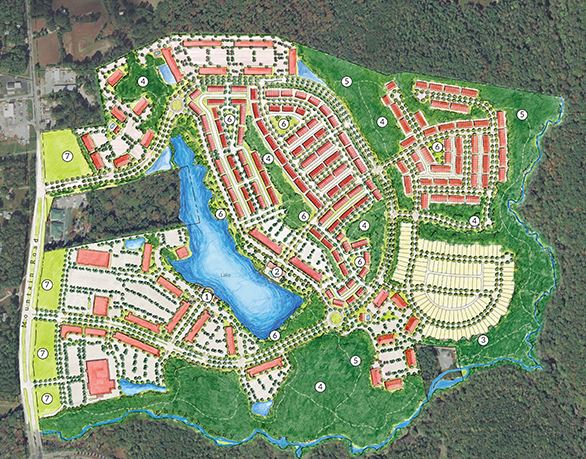 Surrounding an existing 16-acre lake, The Lake District at Glen Allen would consist of 1,103 townhouses, 129 single-family houses, and as many as 1,588 apartments and condos above retail and office space. 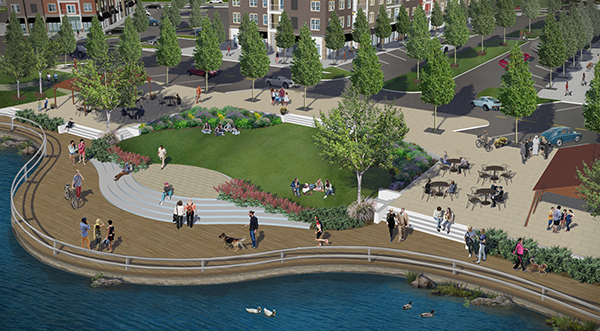 The higher-density mixed-use buildings would form a “town square” area overlooking the lake. The property is located just north of the Henrico County line, bordering the Chickahominy River. Rudiger said rents and pricing have yet to be set but would be comparable to others in northwestern Henrico. 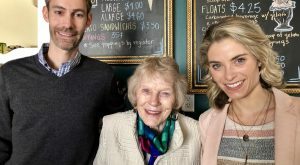 “We’re trying to be a different animal than Short Pump – less emphasis on retail and more emphasis on lifestyle, and integrated business and residential,” he said. Hirschler Fleischer attorney Jeff Geiger is representing Boyd in the rezoning process. He said the development fits with the county’s suburban service district designation for the area, where he said a county-funded pump station and force main was built for future development but remains unused. 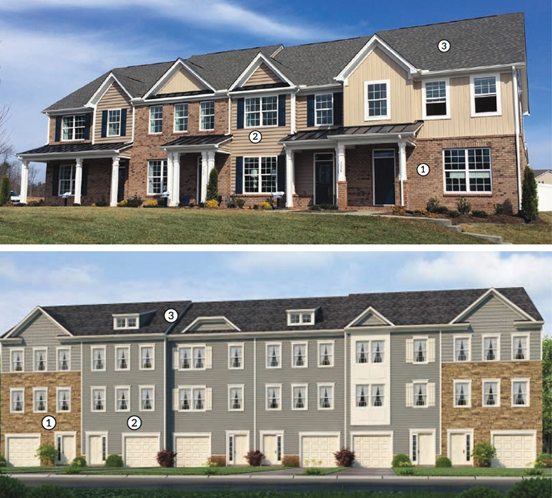 A sampling of the townhomes planned. Geiger said Boyd also is agreeing to pay cash proffers toward widening Mountain Road to four lanes – the primary concern he said the company heard from residents at two community meetings held in December and April. Geiger said more meetings may be scheduled with the additional time requested by the county. Rudiger said the property owners have agreed to extend the contract to purchase the property to accommodate the additional time requested by the county. “We’ve worked with them to extend the timeline so that the county and the public have adequate opportunity to look at what we’re proposing, and evaluate it and get comfortable with it,” he said. 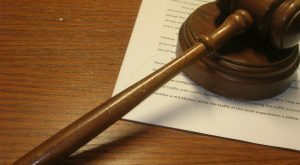 Other firms working with Boyd on the project include Chesapeake-based architecture firm Retnauer Baynes Associates, Chesterfield-based Townes Site Engineering, Richmond-based planning firm Cite Design and Glen Allen-based traffic engineering firm Ramey Kemp & Associates. 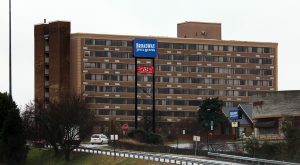 Boyd’s other developments in the Richmond area include the 400-unit Element at Stonebridge apartments and the 457-unit Rivermont Crossing, a rental community in Chesterfield County that the company listed for sale earlier this year. Rudiger said Rivermont Crossing is under contract to be purchased, with a closing expected in mid-September. Also at Tuesday’s meeting, the commission will receive an update on Caldwell Park, a 120-acre development approved in 2015. That project, at Chamberlayne and New Ashcake roads, was proposed by Edge Development Partners but is now being developed by HHHunt Communities. 2 Comments on "$500M mixed-use project getting more scrutiny in Hanover"
My only question to this is the same as the Wilson Bridge Company redevelopment: are people ok with living that closed to industrial properties that aren’t ‘pleasant’. I have family that live on Dude Ranch Rd and during the summer, when the breeze is blowing just right, you get a unpleasant smell from the Tyson plant. This property will be much closer to that plant so I’m not sure what if any issue that’ll be. Other than that, it’s a great area with close access to 295. Or coming home behind the live chicken trucks heading to slaughter. It is a good question.